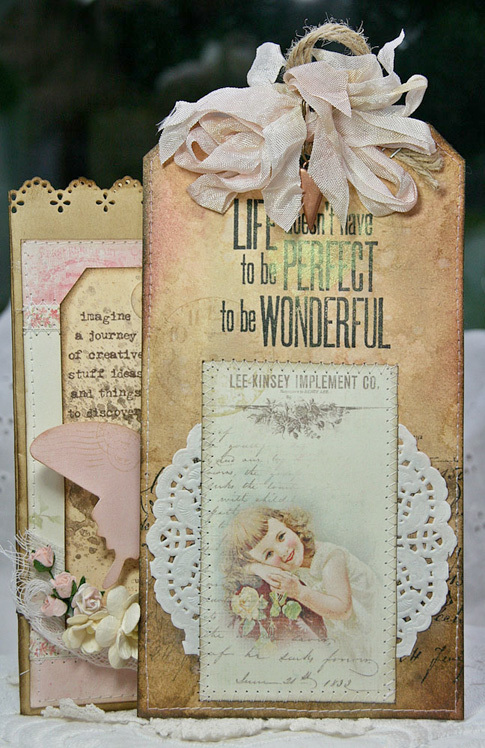 Hi everyone…here is a paperbag card with beautiful papers from Pion Design – Vintage Garden. 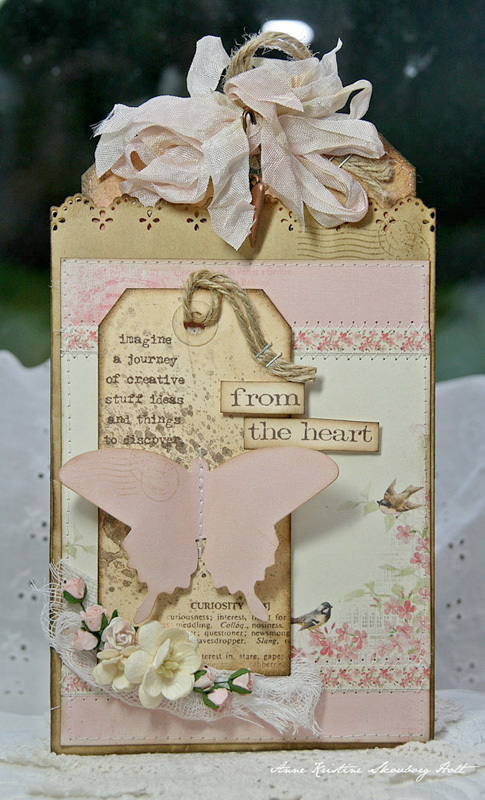 The tag is distressed with Distress Paint – Old Paper and Walnut Stain… plus Perfect Pearls – Kiwi. Distress ink Pad – Victorian Velvet.